What a great way to kick off the summer TREC season, POR training with Helen Martin and Mary Weston. This took place at Dimlicote Farm near Market Harborough (which has the added advantage of being just down the road from me!). Helen organised the day so that everyone learned and practiced at their own level, with however much help they wanted, from newcomers upwards. All the elements were covered including copying a route, plotting grids and following bearings. The route took us over the beautiful Langton Caudle and instead of tickets we were given a sheet of photographs to identify the locations of. There was also an optional bearings section around the pretty village of Great Bowden. 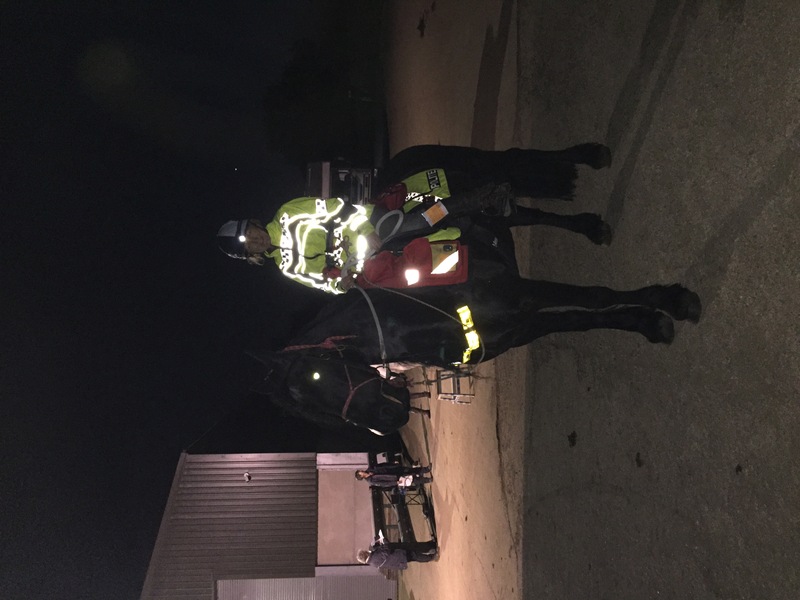 Thank you for a very friendly and enjoyable day and a great way to get back into gear for the summer TREC season. 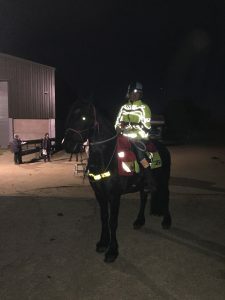 Mary and Xara are pictured here about to set out on the night section at the Park Farm competition, their first opportunity to put into practice the learning from the training.